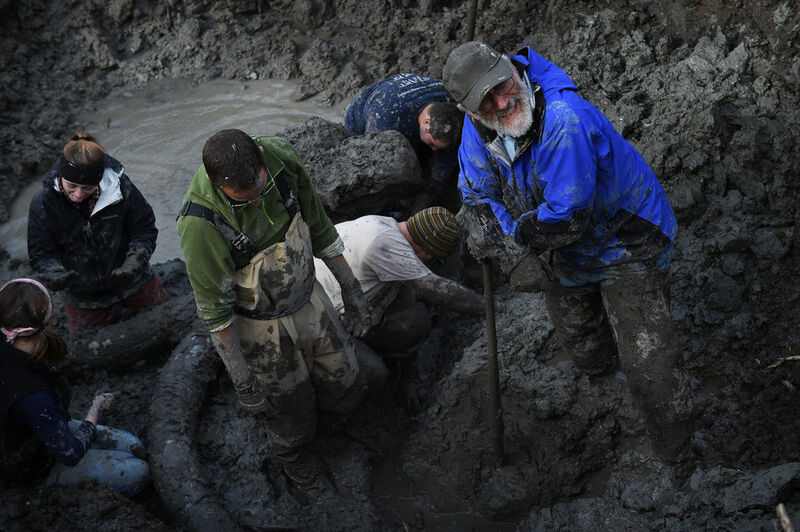 White Wolf : Michigan farmer finds 15K-year-old woolly mammoth skull stashed by Ancient Natives. 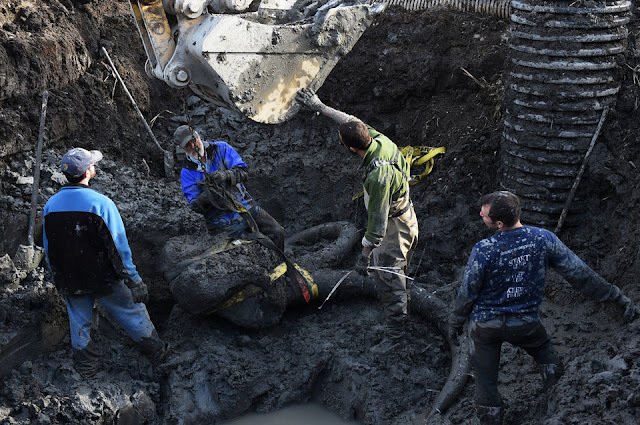 Michigan farmer finds 15K-year-old woolly mammoth skull stashed by Ancient Natives. James Bristle and a friend were digging in his soybean field when they unearthed what looked like a bent fence post, caked with mud. Instead, it was part of a pelvis from an ancient woolly mammoth that lived up to 15,000 years ago. 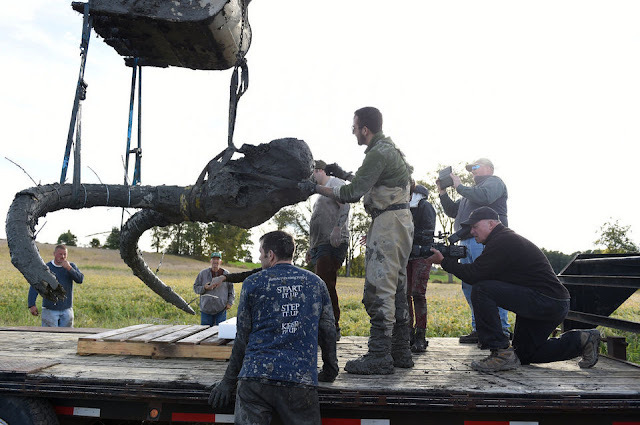 A team of paleontologists from the University of Michigan and an excavator recovered about 20 per cent of the animal's skeleton this week in Michigan. Aside from the pelvis, they found the skull and two tusks, along with numerous vertebrae, ribs and both shoulder blades. 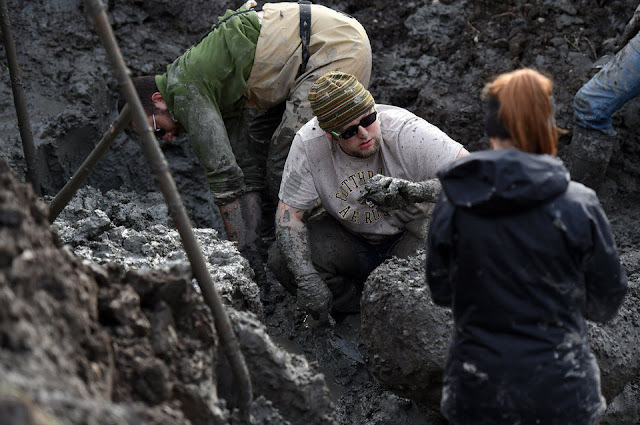 "We think that Ancient Natives were here and may have butchered and stashed the meat so that they could come back later for it," Daniel Fisher, the scientist who led the dig, said Friday. The bones will be cleaned and examined by university researchers for cut marks that would indicate human activity, Fisher said. 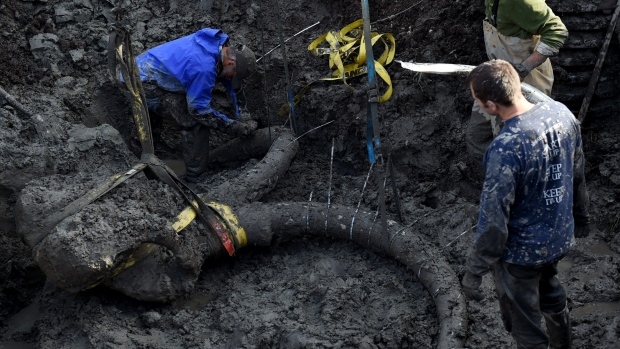 Responses to "Michigan farmer finds 15K-year-old woolly mammoth skull stashed by Ancient Natives." Meat aint what it used to be ! Now, Satan didn't plant that THERE, DID HE? "Bristle told the Ann Arbor News he bought the property a couple of months ago. He and his friend were digging to make way for a new natural gas line when they found the odd object." I am wondering, does the natural gas line still get to go through this property now?